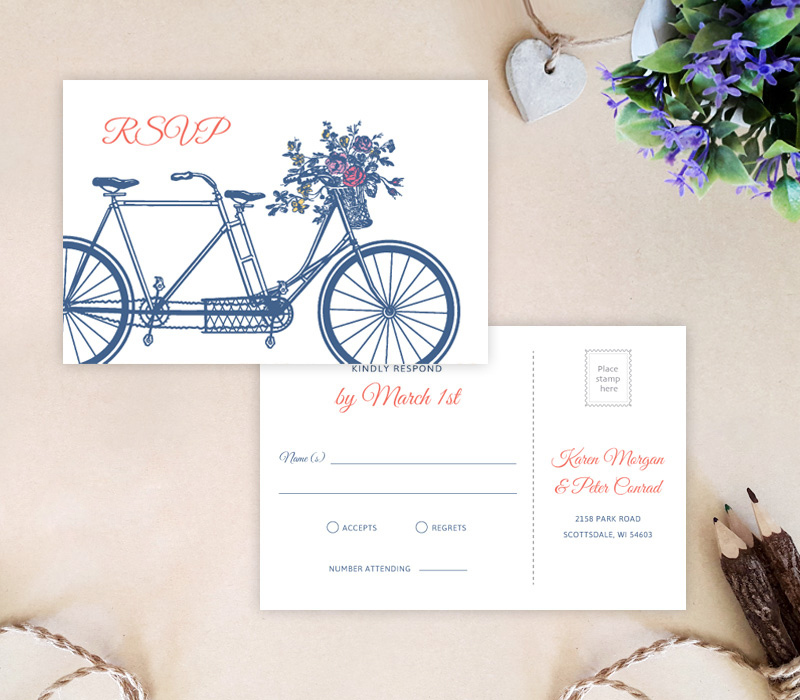 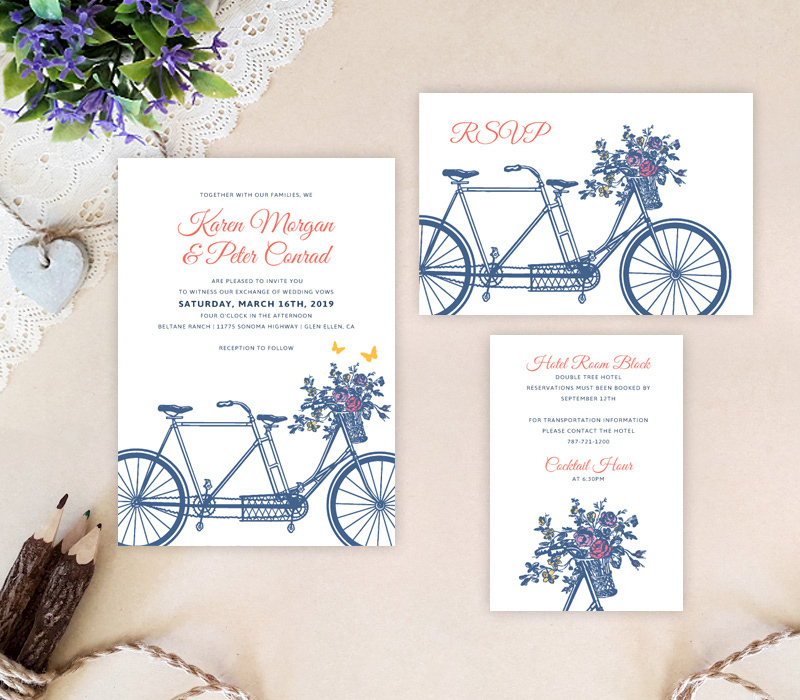 Your special day is a cause for celebration, so let everyone know about it with our Bicycle Wedding Invitation sets! 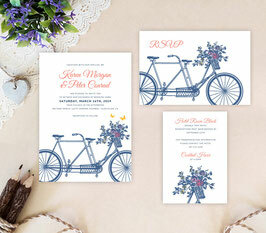 Get ready to deliver the details of your upcoming wedding with our charming spring themed invites. 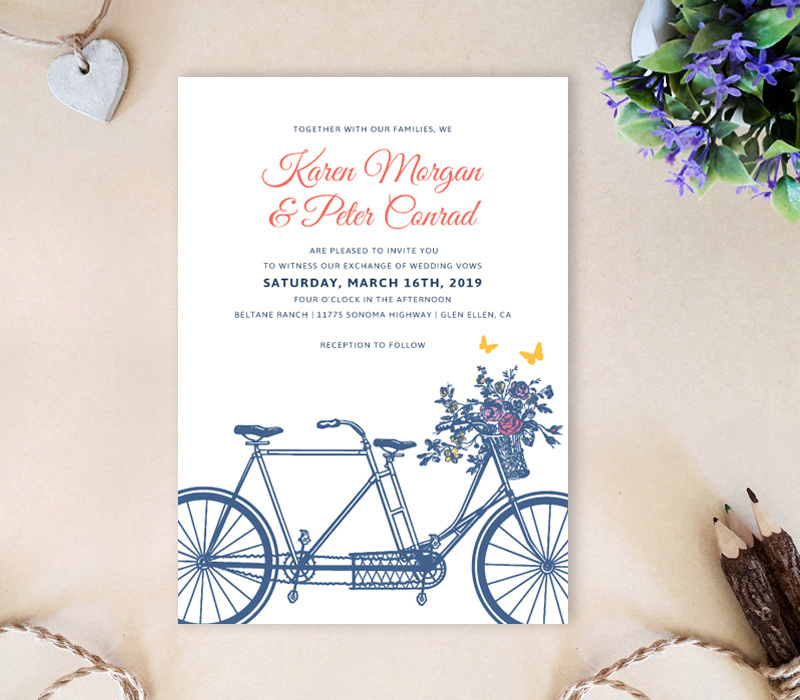 This wedding invitation set is printed on premium white cardstock and features bicycle artwork surrounded with sophisticated font.